The Volpe Classic from Bianchi brings together the responsive handling of a road bike with the durability of a cyclocross bike. A variety of surfaces and conditions can be conquered thanks to generous tire clearance and proven components. 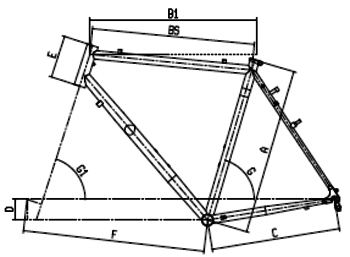 Steel tubing is the best value for bike construction when it comes to strength and vibration damping. Bianchi's exclusive TIG welded, Chromolite steel frame and fork provide a smooth and stable ride on or off paved surfaces. The All Road best suits the needs of riders looking to enjoy endless miles off the grid - whether their excursions take them up fire roads, down gravel roads, over mountain bike trails or all of the above.